This Etekcity Digital Kitchen Multi–function Food Scale is on sale for just $9.79! Add a touch of elegance to your kitchen with an easy-to-use kitchen scale. This scale features a handy auto-tare function to easily measure ingredients in a dish without having to do any math, allowing you to cut down on prep time so you can enjoy your meal. Designed with a smooth stainless steel platform for easy cleaning and maintenance, the scale perfectly accents any kitchen setting. Its slim design also makes it easy to store in any cabinet while saving space for the rest of your kitchen essentials. 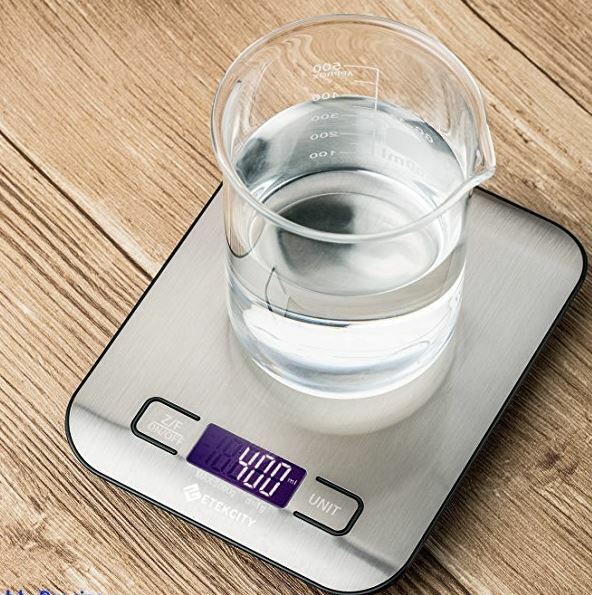 Although the scale is slim, it maintains the durability to withstand up to 11 pounds of weight. Whether you’re a beginner or a seasoned chef, this digital scale has the simplicity and practicality to create the perfect kitchen creations.